Based on the York Road since 2000, Arts for All has been a bedrock of community arts in north Belfast for 15 years. The core of the organisation's work is to offer opportunities for participaton in the arts to suppoprt community development, education, community relations, personal development and social cohesion. During 2013, Arts for All worked with 829 participants, 95 artists, over 50 community groups and ten schools. Arts for All firmly believes that positive change can be acheived through the delivery of arts projects which can improve the lives of local residents – both today and in the future. Through experience, Arts for All knows that those who become involved in creative activity are more inclined to stay involved in the life of the community. Arts For All is working towards a better future for north Belfast. 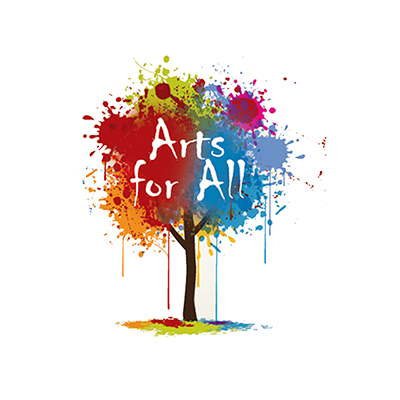 Arts for All's vision is to 'develop a more cohesive, confident and creative community in north Belfast'. All Arts for All programmes aim to deliver this vision.